If you really like to build large structures then Structure Block Mod will be your good helper. 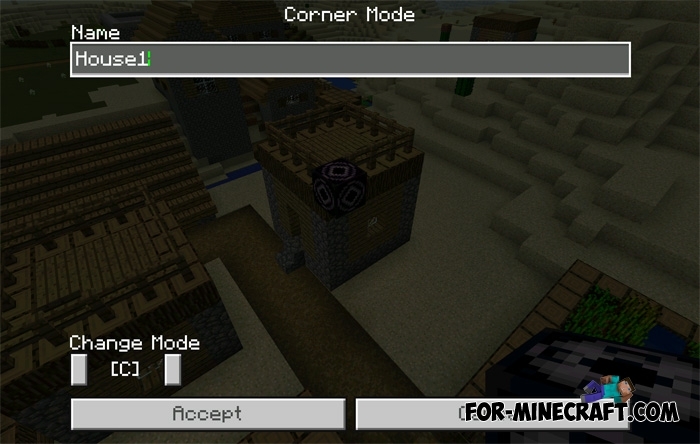 With it, you can copy absolutely any object on the map, or even entire territory in Minecraft PE. Houses, castles, villages can be easily copied and pasted into any place you want. Therefore, if you do not want to spend your time on construction of the same structure, then be sure to install this mod. Run the application and then the game. How to copy / paste objects? The principle is very similar to the work of claim plugins, but now you have to use special blocks. In total there are 4 different blocks, each of which performs a specific function. It would be better if you watch the video below. The first step - copying. If you have chosen the structure you want to copy then, you can begin. Take the corner block and put it in position 1 (see screenshot). 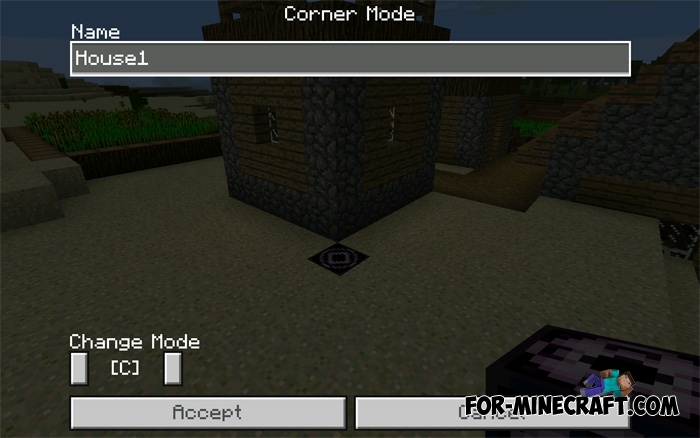 Click on this block, set the Corner mode and enter any name you want. Then put another block in position 2 and do the same as in the first block (type the same name). 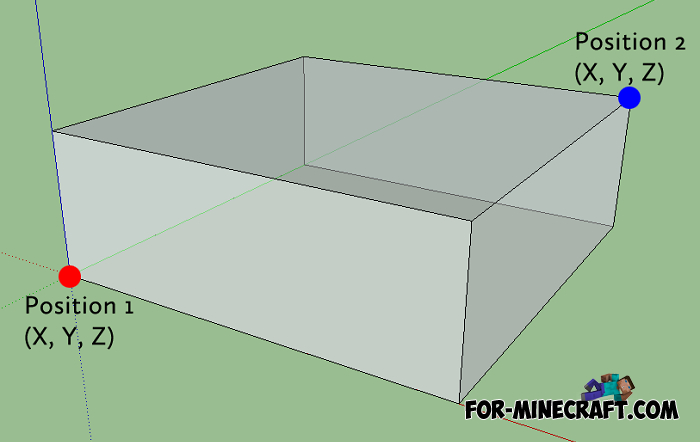 After that, put the third Corner block next to the structure and select the save mode. 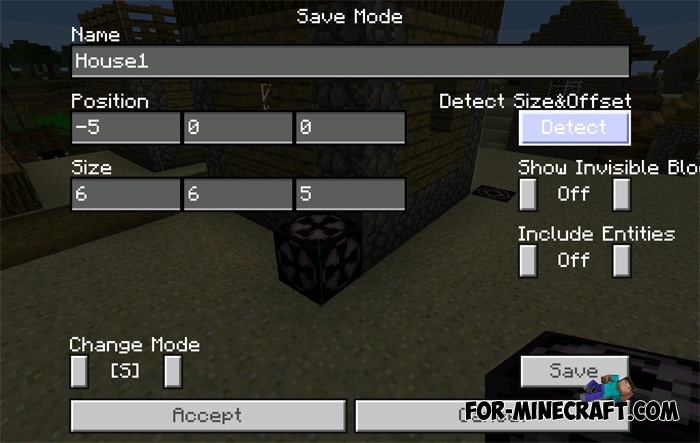 Select detect (detect size and offset) and save the changes. Also as before, type the same name. So you saved selected structure, now you need to paste it. The second step - paste. It's all very simple. Take the structure block and put it where you want to paste the copied construction. Set the load mode and type the name that you used in the previous step. Do not forget that the structure will be pasted above one block of the structure block. The last action is a click on the load button. You can create unique structures from different parts that way. 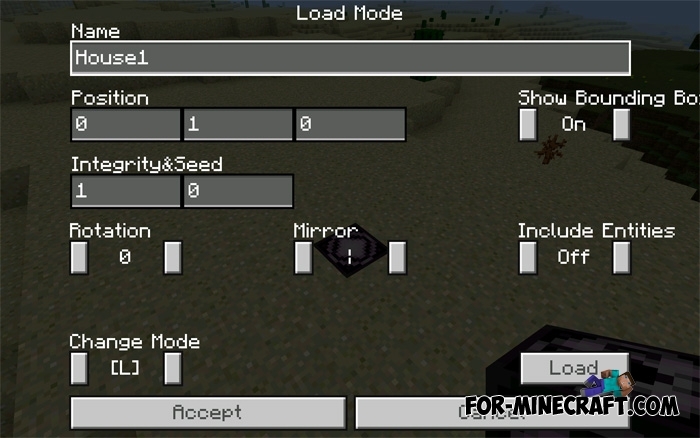 The Structure Block Mod can not copy the contents of the chests, keep this in mind.